Earn up to 70,960 reward points. 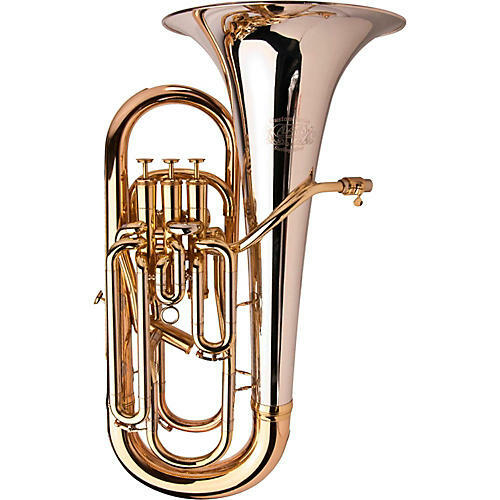 This is the Adams E1 Compensating Euphonium, a special edition that features a sterling silver bell. What a glorious instrument. It is a true marvel of construction, as beautiful to behold as it is to hear. Adams has created a series of selected models drawn from all of the possibilities offered in Adams Custom Series. The E1 with Sterling Silver Bell is among the most popular and best received of all of the instruments in this series. Appropriate in symphonic of brass band contexts, it is a thrilling solo instrument, but also blends effortlessly. The Selected Series is an overview of the best combinations of specifications from the thousands of possibilities found in the Adams Custom Series.The E1 offers a direct response and a free blowing sound, four compensated valves, and a 305 mm diameter bell. Order today and enjoy perhaps the best combination of Adams specifications within its euphonium line.